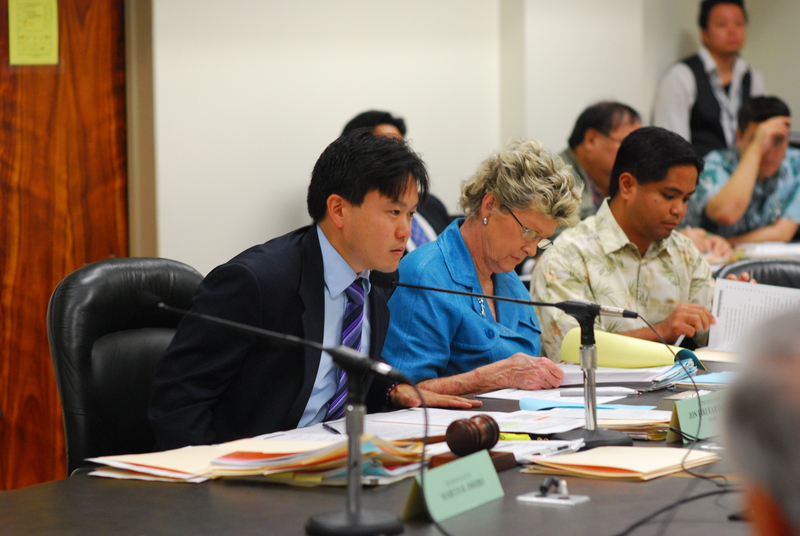 Rep. Jon Riki Karamatsu and Rep. Cynthia Thielen. 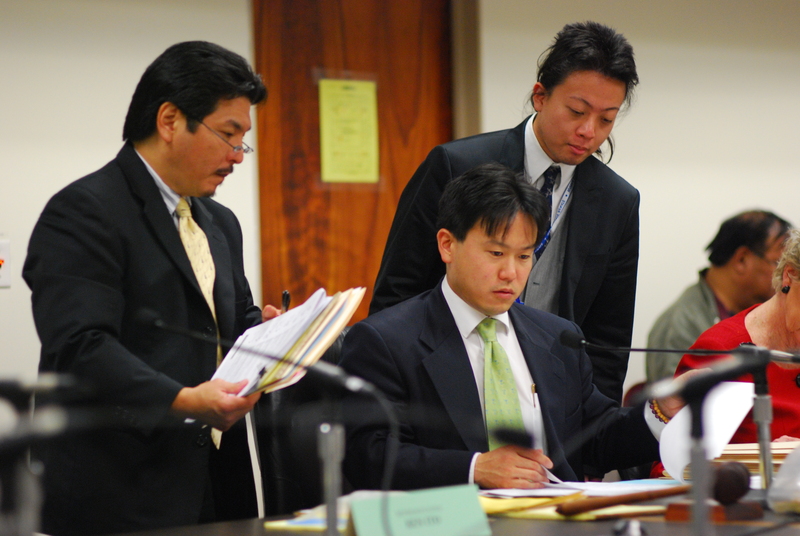 Judiciary Committee Clerk and Attorney Harrison Kawate, Representative Jon Riki Karamatsu, and Assistant Judiciary Committee Clerk Kenji Kimura during conference in the 2010 Legislative Session. 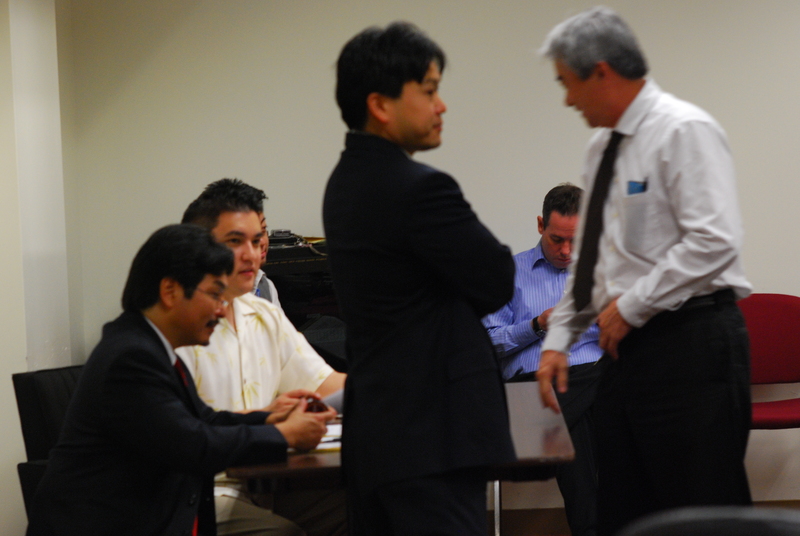 Judiciary Comittee Attorney Rafael Rezentes and Rep. Jon Riki Karamatsu. 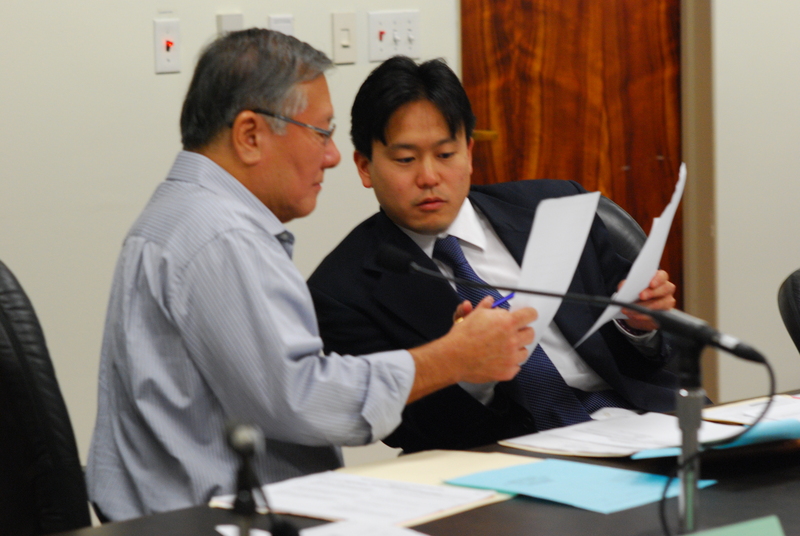 Rep. Ken Ito and Rep. Jon Riki Karamatsu. 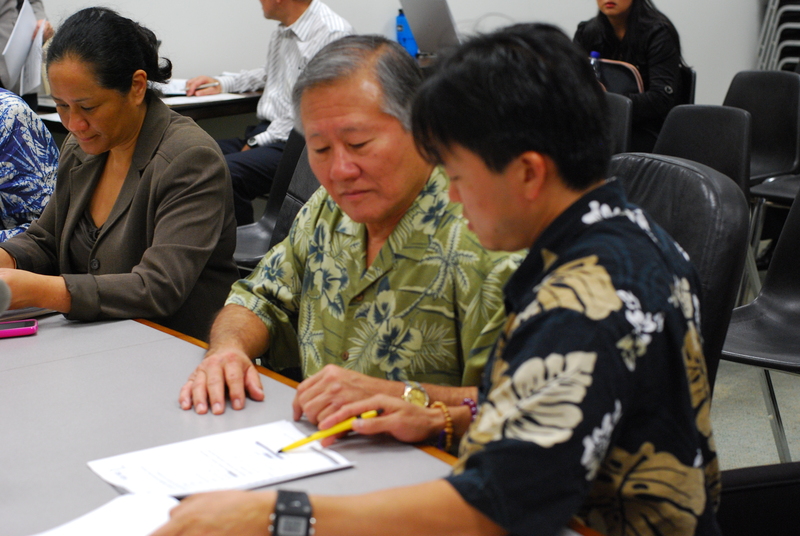 On Tuesday, June 15, 2010, I attended the funeral for a friend, Kristen Low at Mililani Memorial Park and Mortuary from 5:45 P.M. She leaves a husband, Chris and a young son, Christian. I first met Kristen when she was in the John A. Burns Medical School with my younger sister Mia. They went to do some medical work for a summer in Japan. Later when Kristen received her M.D. and began practicing psychiatry, I got to know her better and we became friends. 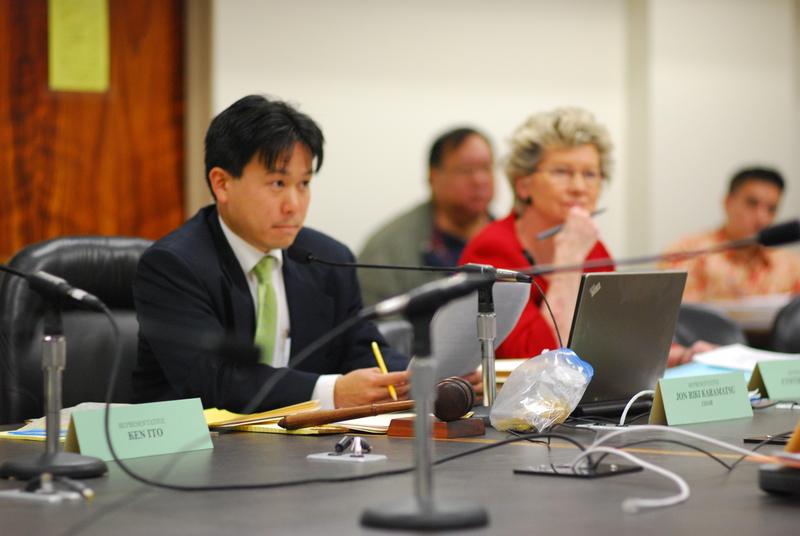 She was friends with my friend Dr. Lori Murayama. 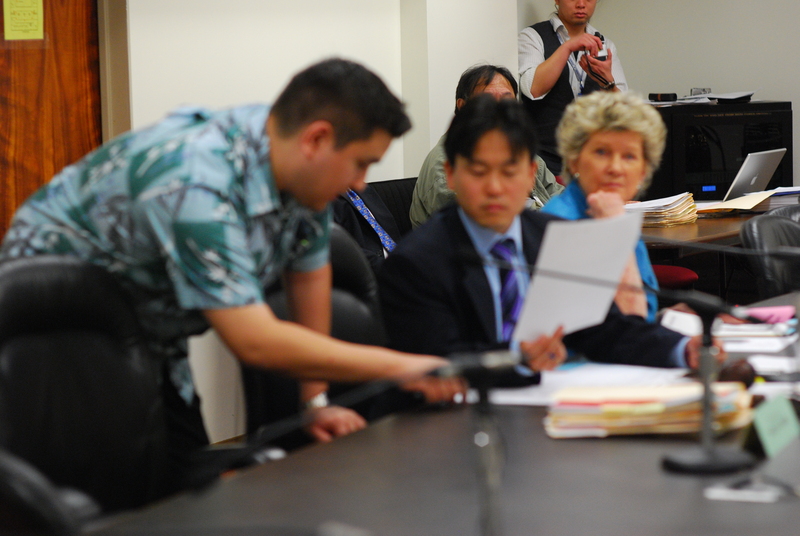 I worked with her on some medical issues at the legislature. 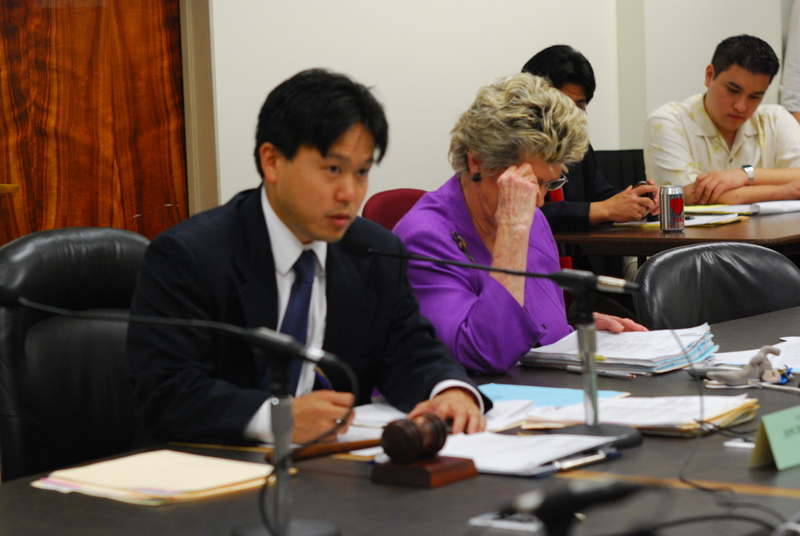 Kristen also became good friends with Representative Clift Tsuji. She was very supportive of my political endeavors. I liked her a lot because she was so positive and always smiling. She exuded so much great energy. I enjoyed hanging out with her, her husband Chris, Lori, and others at social gatherings. I will miss her. 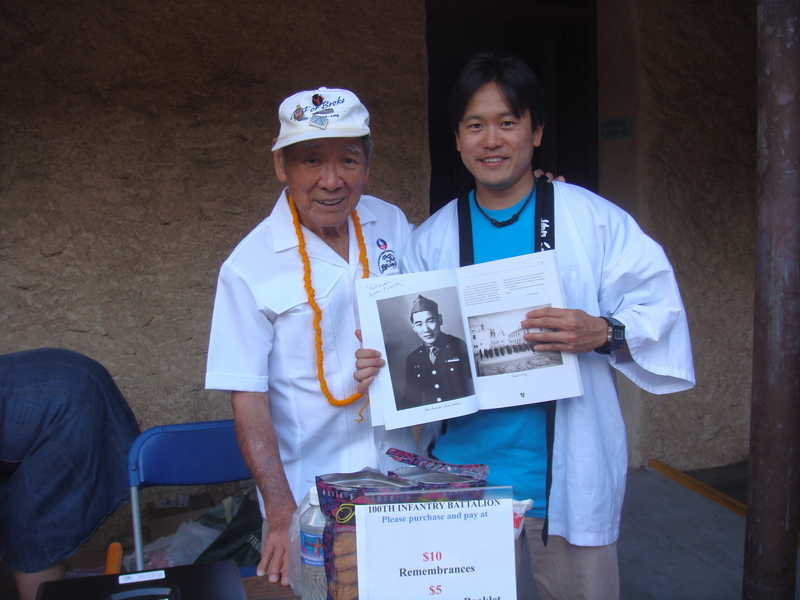 Goro Sumida of the 100th Infantry Battalion and Representative Jon Riki Karamatsu at the 125th Anniversary of the Kanyaku Imin at Iolani Palace on Saturday, June 5, 2010. 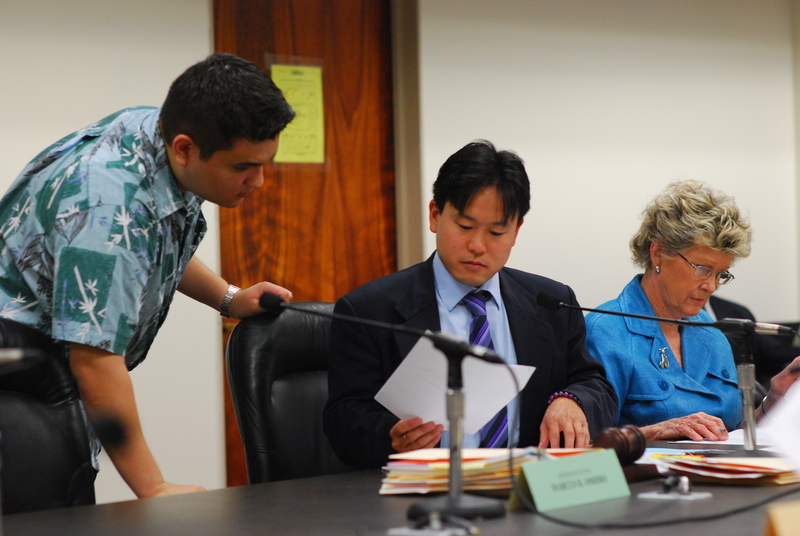 I am having a fundraiser on Wednesday, June 9 from 5:30 pm to 7:30 pm at Bonsai Restaurant at Restaurant Row. We are trying to sell $1000 tickets and $100 tickets. Any support would be greatly appreciated. Please forward this to supporters of mine. Thank you so much!